The news cycle continues through the summer, regardless of whether or not there’s any new games coming out. This week has been pretty standard fair – but then that makes sense because next week is Gamescom, the European E3. There’s definitely going to be a few big bits next week – the MLG reveal for Black Ops III (I’m assuming that will basically be the multiplayer detals), The Taken King details galore, and a bunch of Microsoft exclusives including Crackdown. 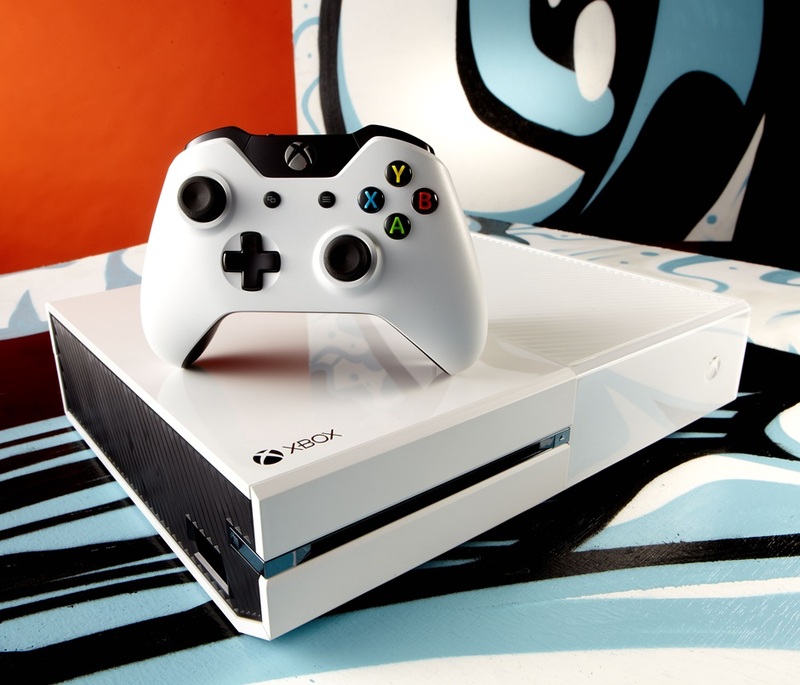 This week’s news really hit with the start of the Summer Spotlight on Xbox Live. I talked about it yesterday, so I’ll just reiterate that you should check out the games as part of it. You never know what you might find. In other news, Smite got a pretty sizable update, and Call of Duty has been celebrating “Hammer Week” with double XP and rewards. So it’s been a pretty standard week of news, but pay attention next week – it’s going to be a busy week for sure at Gamescom. Xbox Live Summer Spotlight: The New Summer of Arcade? One of my favorite things that Microsoft used to do with the Xbox 360 was the Summer of Arcade. It was a one-month period where each week they would offer brand new titles that highlighted the Xbox Live Arcade. Highlights include Castle Crashers, Limbo and Braid to name just a few games. However, since the Xbox One has come out, the line between Arcade and Games on Demand is pretty much gone. And as a result, the Summer of Arcade has been basically left by the wayside. However, this year, Microsoft is trying something new. The Summer Spotlight started yesterday and for five full weeks will feature 25(!) new games. It started pretty high too – Kings’ Quest and World of Tanks started the lineup. One thing that I’ve always found with these events is that they are always great ways to find games that might otherwise fly under the radar. They’re generally cheaper than a normal game, and tend to be quicker to play through as well. So while you’re whiling away the hours in August waiting for Madden, The Taken King or even later releases, maybe take a peak at some of the Summer Spotlight games. You could just find a new gem. Once again I find myself writing based around a post I saw while browsing the Destiny subreddit. Today, it’s one that actually getting some play around the web in general. Hell, even Forbes has commented on this particular post. And it’s because it’s getting some serious views on the Reddit – because it supposedly is a detailing of specifics that the OP has obtained about not only The Taken King, but also Destiny 2. The fanbase is craving for details – The Taken King is only about a month and a half away and we still don’t know a LOT of details. But there is something a little off with the post – Forbes does a good job of breaking that down, so I don’t want to beat that horse. Instead, I want to talk a little about why that post exists, and then maybe do some speculating of my own about the future. 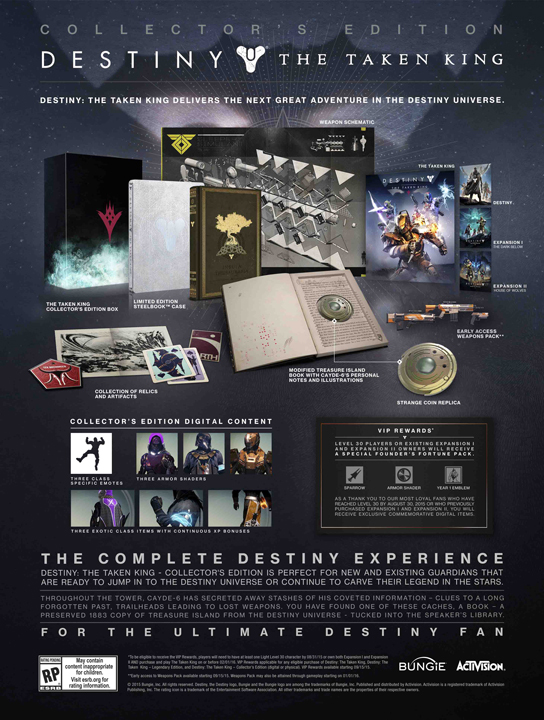 To me, the biggest giveaway that it’s a total sham post is that there’s specifics for Destiny 2. We’ve literally heard nothing even addressing a sequel for the game yet – and while I don’t doubt that it’s pretty deep in development, I actually hope it is – I doubt that Bungie employees at all are talking about it. This community perhaps more than any other in the current gaming sphere should be well aware of how much a game can change quickly. Destiny looked completely different when it was still a year out from release – hell, that game is still one that a lot of us would love to see. Any “concrete” details about a sequel now are just a fan’s wishes. And when you look at these “details” about the future, you really just see it’s exactly that. Activision has a notorious track record for pricing content – early Guitar Hero DLC was more expensive per song than Rock Band (it didn’t help that there was a new game every year, with no chance to transfer songs); Call of Duty charges for cosmetic DLC that literally impacts gameplay in no way at all. The idea that they will abandon paid DLC – especially the kind that the playerbase is dying for – is absolutely insane. I get that we’re moving forward as an industry, and DLC is going through some changes. We’ve seen more substantial free DLC this year than any year I can remember recently. Titanfall added in the Frontier Defense mode for free, along with the Black Market; Dragon Age: Inquisition has had a bunch of free multiplayer DLC; and Halo 5 has said all map-packs will be free. None of those are Activision games though. The only free DLC that they’ve done for Call of Duty is add in a couple weapons – which still pale compared with the Bal-27 and ASM1. In an age where free MOBA games routinely are in the top played games, I think DLC in general needs to be looked at for multiplayer games. It’s been such a cash-cow for years though, so any growth or changes will be slow and painful. Destiny 2 – whenever it comes out – will probably not be that lynchpin game. When it comes down to it – what this post really speaks to – is a community that is rabidly searching through any and every pixel of the trailers for details. As much flak as Destiny has earned over this first year – some rightly so – the community is still really strong, and very loyal. It’s very easily my most played game of the last year – by far. I’m in that same boat – I want to learn all about the upcoming schedule and content as possible. But you have to have a certain level of skepticism about “leaks” – even more so of ones with no concrete proof. The leak back in January that showed off the DLC schedule had some truth to it – thanks to the image that it contained. Add in that it had some truth behind it with the content that had already been released, and it was easy to take at face value. In the end, it was pretty accurate – sure a few details changed here and there, but it has so far been pretty much spot on with the schedule and content. In particular we knew House of Wolves was coming spring time, and we knew about The Taken King (then as Comet) as well as DLC 3 and 4, which are included in the second expansion pass. All of that adds up to an environment that is susceptible to these sort of posts. Bungie doesn’t help the case by playing their hands really close to their chest. We’re still a little far from when I would expect to see the floodgates open – that comes within the last month before launch – but I still would love the details to come a little more frequently. As it stands now, we get one or two little tidbits in each weekly update. The updates also are focused around The Taken King – which is what I want, but they’ve basically left the current game stand for a long time, which is frustrating. I’ve written already a few times recently about the current state of the meta, so I don’t need to keep beating that horse. As far as looking forward, there are a few specific details that I am really hoping for. Of the points in the “leak,” the big one that I want is increased customization. I hate that the only option for end-game play is pretty much homogenized. 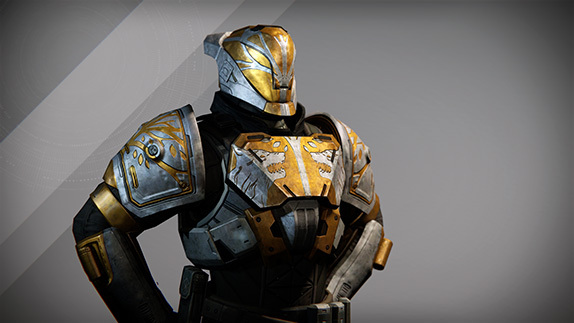 You wear Prison of Elders armor, or Trials of Osiris armor, until you earn a bunch of Etheric Light to level older armor; basically amounting to using Raid armor that you’ve used for most of the year. That ends up with everyone in the Tower looking the same – even using the same handful of shaders. Adding in more options for customization is needed I think – it would help refresh the feeling of the game. The other point that I really want to address here is supposedly a new way to ascend gear to Year 2 levels. On the surface, that sounds great – but if House of Wolves taught us anything, doing that is a terrible idea. Bungie needs to show us that they’re adding in weapons that would make us abandon the older weapons – House of Wolves didn’t, so everyone ascended Vision of Confluence/Fatebringer/Black Hammer/Gjallarhorn, and really, that’s all you need. The Taken King is exactly what the game needs – a chance to do a bit of a reset with the weapons and armor. Put everyone back on the same playing field, take away the crutch weapons, and reshape the meta. 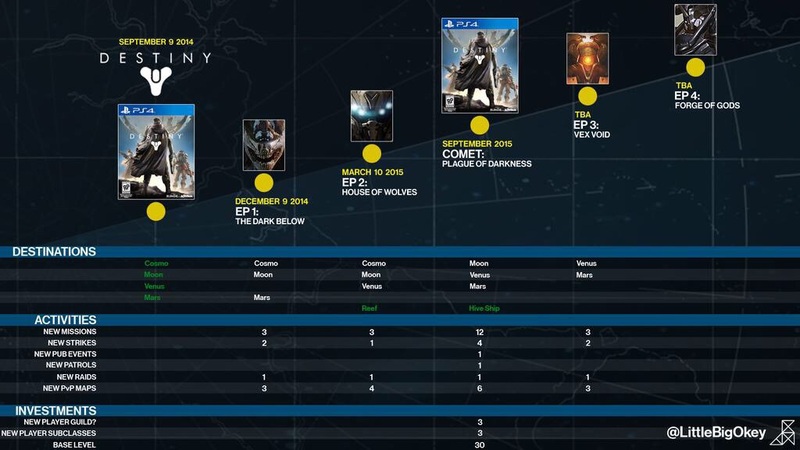 Adding in a way to ascend gear to Year 2 levels would ruin that, and could potentially ruin Destiny in the long run. Datto has a fantastic video that talk about this – especially as it pertains to power creep – which explains it better than I can today. If they do add in ascension, there’s a real good chance that power creep might get to the point that it can’t be fought and could permanently impact the universe. I honestly think that ascension is actually even in the game because of the fanbase raising hell after Dark Below kinda rendered Vault of Glass gear less relevant. 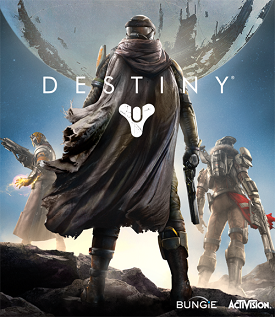 If there’s one thing I can take away from this first year of Destiny, it’s that the game has been one of, if not the most, talked about games. The community is passionate, the game’s building blocks are super tight, and that’s always a good combination. It will probably never be the game it could have been – and in truth it might never have been able to, even without the changes pre-launch. But I still think that Destiny will probably go down as being one of the first true “next-gen” games – and will have a community that plays it for years. I wrote on Awesome Games Done Quick way back in January and that time has come back around again. This week is Summer Games Done Quick, a week long, 24/7 marathon of the best speed runners destroying your favorite games. That in and of itself would be pretty cool, but SGDQ goes one step further – the whole week they’re raising money to directly benefit Doctors Without Borders. The marathon started yesterday afternoon – and within 24 hours, they’ve already raised over $120,000. That’s crazy, and the number will just keep going up all week long. If you aren’t familiar with speed runs, they are a player playing through a game as blindingly fast as possible. They involve using known in-game tricks, glitches, even some bugs to help get the time down as low as possible. Each game tends to have multiple categories – usually a 100& and an Any% – with different runners and tactics. The GDQs are a fantastic way to start learning about speed running, and they expose you to some awesome runners and games you might not expect. The marathons are also archived over on YouTube, so if you want to get a quick catch-up before diving in, that’s the way to do it. When you’re ready, check out gamesdonequick.com to scope out the schedule and donate, then bounce over to twitch.tv/gamesdonequick and start watching the fun. This weekend is the annual celebration of all things Quake at id software’s Quakecon. Things have expanded over the years, as id has been picked up by Bethesda, and as a result, this year we were expecting a few new details to emerge about this fall’s Fallout 4. And we got a pretty solid start to the news across the Bethesda board early on. 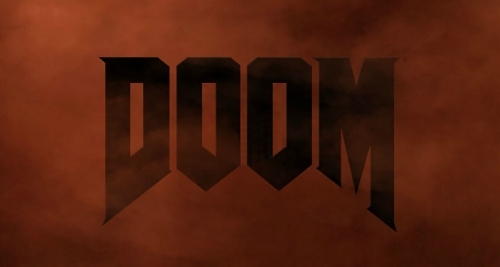 Kicking off the Quakecon news flood, we finally got some details about the upcoming alpha for next year’s DOOM. Players who pre-ordered Wolfenstein: The New Order will either be emailed codes for the upcoming Alpha, or if they had it digitally, they’re already all set. The Alpha doesn’t have a solid date yet, but I would expect it to come out this fall/winter. Yesterday Bethesda announced what could be the best deal I’ve seen in a long time. 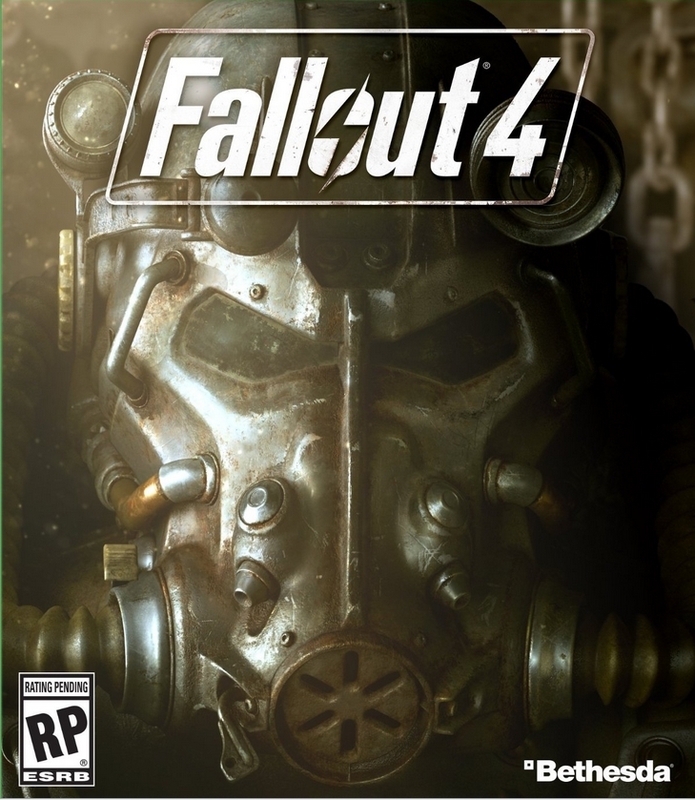 PC players will be blessed with the upcoming Fallout Anthology – containing Fallout, Fallout 2, Fallout: Tactics, Fallout 3 AND Fallout: New Vegas. And those last two are the complete editions with all the DLC. 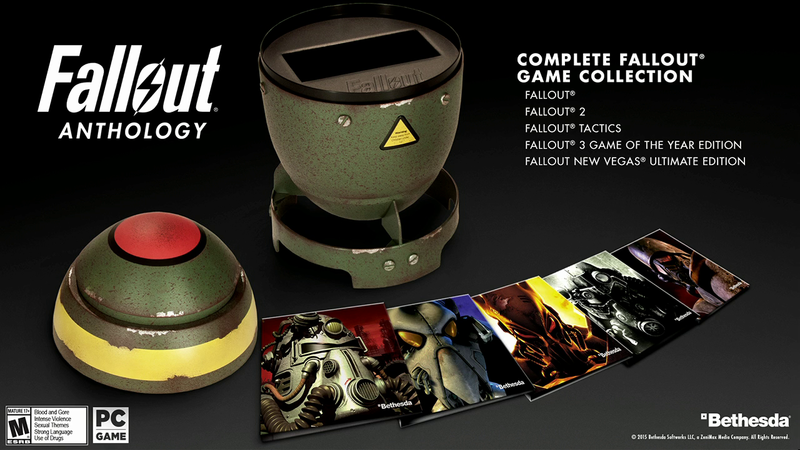 All of those games, available in a pretty cool collectible Mini-Nuke case – for $45. Forty-Five Dollars – that’s less than any single modern game. Sure, it’s PC exclusive, and sure the games are almost 20 years old – but the timing is perfect and the first few games are hard to come by. Now, it is a true limited edition – so go pre-order it now if you want it. The big talking point today though was the exclusive, closed door demo of Fallout 4. There’s no plan as of now to release the gameplay footage, so only the attendees will have gotten to see it in action, but the media that was there did live-blog it, along with some quick posts after the show. From the looks of things, the content focused on showing off new companions – confirming four of the “about a dozen” options (Mr. Handy, Dogmeat, Piper and Preston); along with showing off more combat. But the more interesting things, at least to me, were things that Todd Howard talked about before the demo. They hit on the S.P.E.C.I.A.L stats – including showing a quick video talking all about Strength – a video that is the first in a series that they’ll be releasing to the public. After that perks finally got some press – which has been something I’ve been curious about since E3. They’re going with the Fallout 3 style, where you pick a perk at each level-up, and it looks like they’re going to be tied more to the S.P.E.C.I.A.L stats. There’s still a ton of stuff in the mechanics that I really am curious about, but for now this is good enough to tide me over. Just like the title says, I’ve been digging around the Destiny subreddit again, and it really doesn’t take too long for me to find a post that gets my blood pressure up. Generally it’s a lot of posts about the current weapon meta and how Bungie isn’t doing their job because they have the audacity to be making a major expansion due out in two months. I’ve spent plenty of time writing about the current weapon meta in various ways, and while I do agree more frequent communication and updates would be a good thing; I do understand that they’re super busy right now. So today I want to address two other posts I saw this week, instead of beating a dead horse about updates that are four months overdue. This is the first one that really got me a little hot earlier this week. Essentially it was asking for the ability to buy weapon parts with planetary materials. 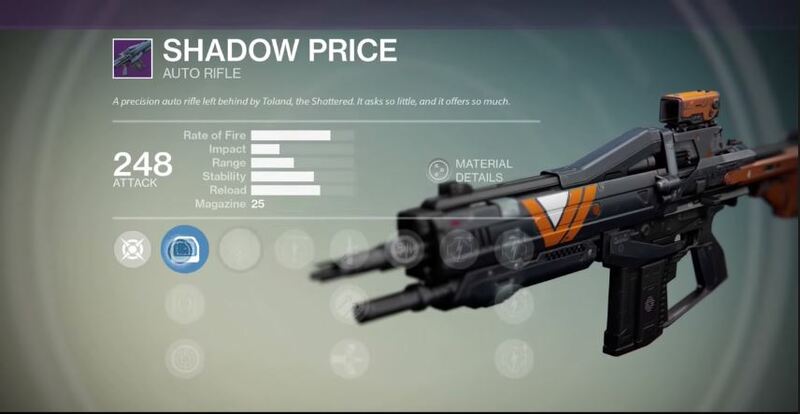 Here’s the real issue – the reason that weapon parts have shot up in value is because of reforging. As a result, people have been re-rolling weapons to try to get a perfect set of perks, primarily on those weapons that are top tier in the current meta. For example, the new Party Crasher +1, introduced in House of Wolves, is already a sort of Felwinter’s lite. The problem is that it’s a reforgable weapon – which means you can dump all your glimmer and weapon parts to get a perfect roll. Making them purchasable would just exacerbate the current issues in the meta. And here’s the crazy part – they’re already grindable! All you need is a little patience and hop in the strike playlists. You’ll be rolling in engrams, which can be dismantled into parts. The community already seems to love bitching about balance issues in the game, especially in PvP. Making weapon parts purchasable – with any currency (since they’re all easily grinded) – would just make every unbalanced situation that much more so. I saw another post this week calling, yet again, for trading to be a part of Destiny. This has been something that has come up within the community basically since the beta. Since Destiny draws some inspiration from Borderlands as well as Diablo – and both those games have trading systems in place – it wasn’t a particularly hard stretch to want to see it here. Here’s the issue though – those games have way more variety in their loot. Borderlands has such a tremendous amount of variables for the individual weapons that can change their behaviors, making it difficult for truly overpowered weapons to appear. Thus, trading doesn’t potentially break the PvE experience. Destiny doesn’t have that luxury. The variety really isn’t at that same level – really we’re talking about perks, and even then, an even smaller subset of weapons and armor. No one is out there grinding out hours for blue (rare) weapons – with the exception of The Stranger’s Rifle, which is given after finishing the story missions. Instead everyone is looking for a very small select group of weapons – most of which are end-game legendaries, or the exotics. Trading those weapons not only stands to break the PvE AND PvP metas, but could also evolve to serious exploits. Let me explain. Any game that has that potential can also have the potential for a certain group that is willing to get those weapons, and then sell them off to the highest bidder. Even if that system isn’t in-game, with how easy the web is now, auction sites would pop up instantly. How long do we really think it would take for a site auctioning off Gjallarhorns to pop up? Trading could end up killing the game outright – any sense of balance would be gone in an instant. At the end of the day, these posts I don’t think actually represent the feelings of the whole community. Sure we’ve all been frustrated when we’re hundreds of hours in, with no sight of Gjallarhorn. The same is true when you get a top-tier weapon, with a terrible roll. You want to make it competitive, because that’s the only way to be in the current meta. I get it. But there are definitely more important issues in the game that need to be addressed. 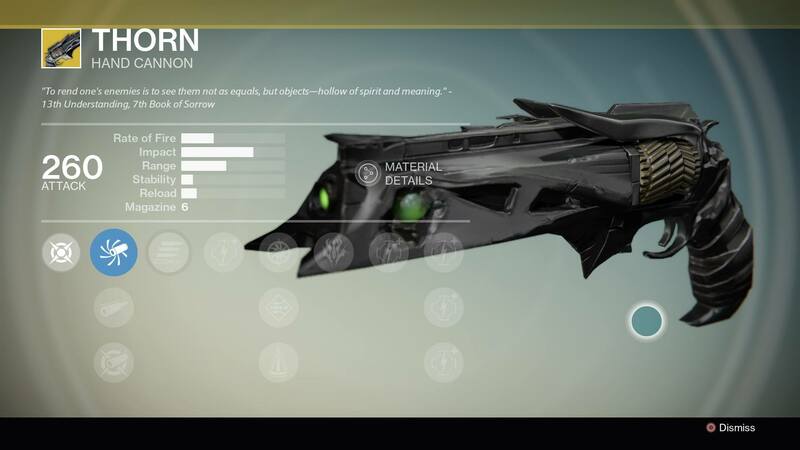 Reputation packages draw from way to wide a loot pool – especially when there are items with no real bearing on gameplay (shaders/ships) that have a lower drop rate than any other item. Getting my Revenant shader was more exciting than just about any new weapon I’ve gotten in months. That’s an issue – the actual gear should be worth more than cosmetic items. We have a couple months until The Taken King, but I don’t think we’ll see any actual update to the game until September. Hopefully though in those weeks, we’ll get a few more glimpses into the mindset of Bungie moving forward. This first year has been a great first year, but it is time to start looking critically at the game and its future.